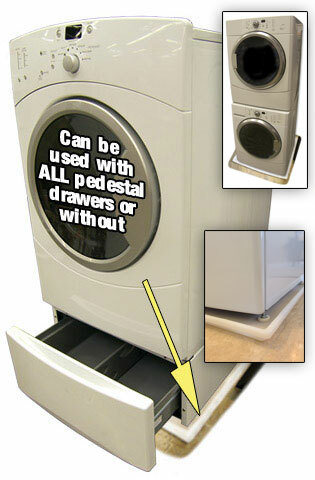 Patented design fits ALL single washing machines and stackable washer & dryers too. Mini-stackable and custom sizes also available! Ideal for Homes, High Rises, Condos, Apartment Buildings and More! WASHING MACHINE PAN - 30.5" x 34.5"
Endorsed by builders, contractors and sub-contractors worldwide. 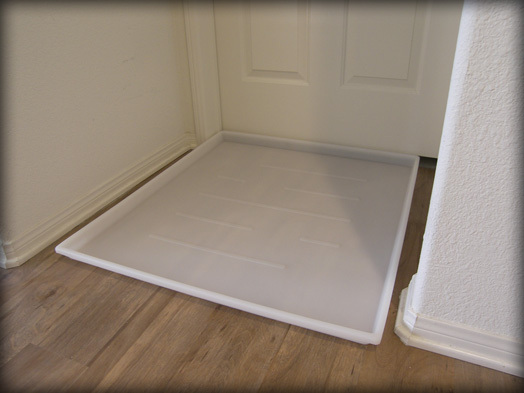 The DRIPTITE Single / Stackable Washer and Dryer Pan™ is made of a special blend of unbreakable polyethylene plastics (similar to those used in making industrial cement drums) that is thick, UV-ray protected and will never break when stepped on. The pan is tough and UNBREAKABLE with a true lifelong durability. These pans never have to be replaced. 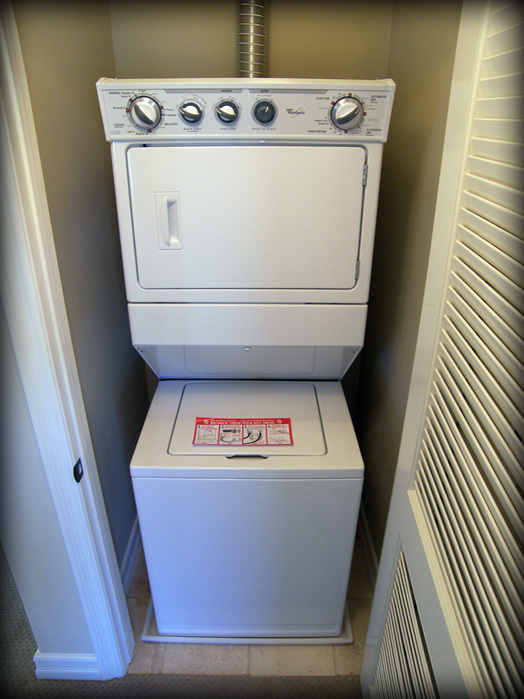 It is specially designed to fit all single and stackable front-loading or side-by-side washer and dryers and it can be used with all pedestal drawers. 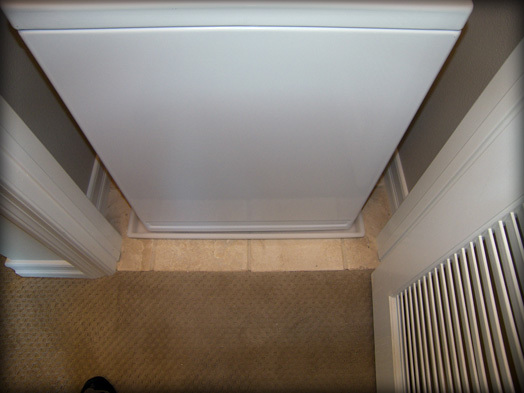 Our washer pans meet all building code requirements in the U.S. 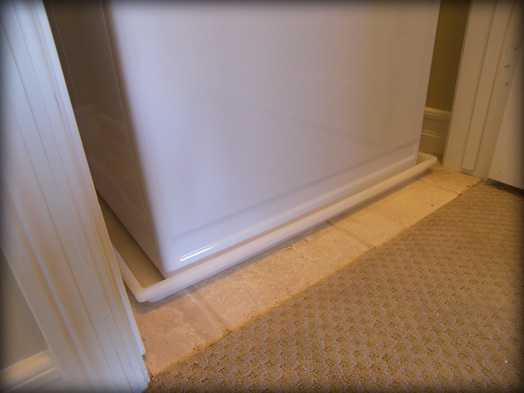 Installation Recommendations: Always raise leveler legs on XL top-loading washers by 1" before installing your washing machine. 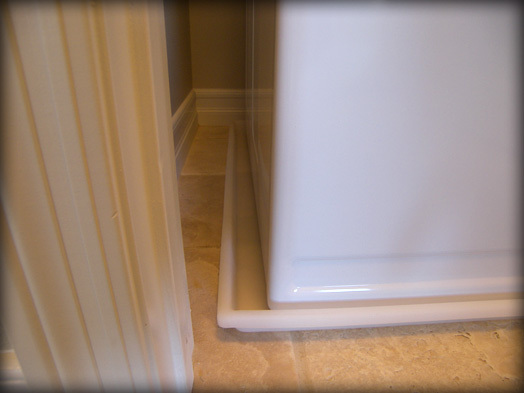 Also, washing machine leveler legs may need to be raised to allow for pedestal drawer to completely open and extend. Fig. 1 - Up to 4X thicker than other washer pans. Super strength. Protects floors from scuffing. Easy to clean. Fig. 2 - Our plastic washer pans won't bend or rust like metal pans. Won't crack like other washer pans either. all pedestal drawers if you choose to use them. that won't break or crack when stepped on. pan less obtrusive. Fits most all washer & dryers made. Measure unit and fitting space first.